After all the political maneuvering of the past week and my reluctant posts trying to unravel the complexities, I began today determined not to write of politics whatever news had broken overnight. That proved quite easy to live up to, there being no F1 news at all, but it left me wondering what to do instead. As so often happens when I am at a loose end, I found myself involved in a discussion with Ollie over at Blog F1 through which it occurred to me that I could use the day to "strut my stuff" a little (a complex train of thought - don't ask). I have always avoided saying "I told you so" but recently allowed myself a couple of lapses in that area. The week's political shenanigans brought back so many previous posts in which I predicted present events that I feel marginally justified in pointing at two articles that have subsequently proved correct. The first dates from May 13th of this year, Ferrari, FOTA and the FIA, in which I pointed out that "this is the big one", the moment when the manufacturers will either force change upon F1 or leave the sport. So far, it seems that I was right. Even earlier, in Suspensions and Budget Caps of April 29th 2009, I identified the governance of the sport as being the major cause of discontent amongst the teams and so it is proving. Yesterday's statement by ACEA, the European manufacturers' association makes this very clear. My dislike of KERS is well known but it might be a surprise to find that I was arguing against it as long ago as March 4th 2008. In a post entitled Mosley and KERS, I set out my doubts almost as soon as it was announced. My favorite anti-KERS post is a later one, The Curse of KERS, however. Finally, to get away from politics, Max and the FIA completely, remember where you first read of the interesting battle of team mates in prospect in the Red Bull pairing. 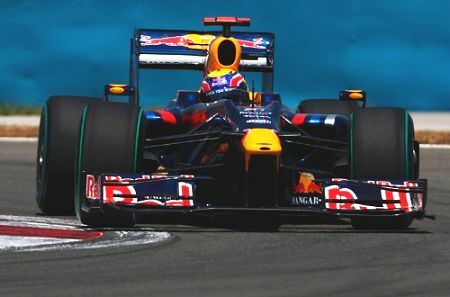 On October 27, 2008, in a post entitled Mark Webber in 2009, I identified Webber and Vettel as being the team to watch this year with reputations and futures hanging upon the outcome of their struggle. Vettel is marginally ahead on points thus far but Mark has been catching up steadily of late and the battle will continue for many races yet, I'm sure. So there you have a few predictions that I can be proud of. It is only fair that I point out the occasional little victory, especially as my failures are so well known (Button for champ in 2007, yeah right). And as my bet for this year, Nick Heidfeld, struggles with the albatross I clamped so securely around his neck, remember that I don't always get it so completely wrong! Not failures, just little golden moments of over-optimism. I usually find your F1 political observations to be astute. No doubt because the frequently mirror my own. I find your driver selections to be less spot on. Frankly I think Webber is quite lucky to be where he is at. Other then Malaysia and Monaco, I think Vettel has out driven him although I would concide that there may be an argument regarding Turkey with Vettel's first lap mistake. Red Bull's poor strategic moves with Vettel has more to do with Webber's closeness than his driving. Webber is having a solid year no doubt but methinks a deeper look into each race and their circumstances will tell better then points. Keith: Arrgghh, typo alert, typo alert! Thanks, Keith that one has been staring me in the face and I still missed it. Fixed now! Steve: So we're good when it comes to politics! With drivers, there is bound to be much that is dependent on subjective judgement. I am the first to admit that my pick of the drivers is often affected by the conventional view - I don't like going along with the majority! Aw, I thought BogF1 was Garcia's new site! Too bad. It's refreshing to see a blogger fess-up to his errors in judgements. But then it's a risky business trying to forsee the future. If it was easy, everyone would be doing it. Keep up the good work, Clive. We all very much appreciate your insights...even if they are occasionally way off the mark. Thanks very much, Don. I'm sure that most of the time we manage to hammer out something close to the truth in the comments! Webber also out drve Vettel in Barcelona. And they're near tied despite Red Bull always giving Webber much more fuel in Q3 in every race. The Webber/Vettel partnership has not turned out to be the lay down misere many were predicting. But then, as you say Clive, predicting is a bit of a mugs game !